Being an Aussie people kindly send me advice on how to not be killed by animals. Yes, we do have some decidedly deadly animals in Australia, some of the deadliest are not what you would think. But as much as I appreciate the advice, I think it is time that an Aussie set the record straight on how to deal with deadly animals. Let’s start with the most recent piece of advice I received. Clearly this meme was written by someone from North America, what with the unexotic list of animals (although the meme comes from a UK site). I mean, I know that bears and wolves are scary to some people who have never been to Australia, but we have to remember that the bar is raised when talking to Aussies. You can’t roll toward a bear in Australia as they live in trees and attack from above. The best rule is to use the one borrowed from chemistry, and that is to have a sacrificial (anode) friend with you. This friend should preferably smell delicious; possibly have them carry bacon in their pockets. If someone suggests you carry some bacon then you know exactly how much to spend on presents at Xmas time. 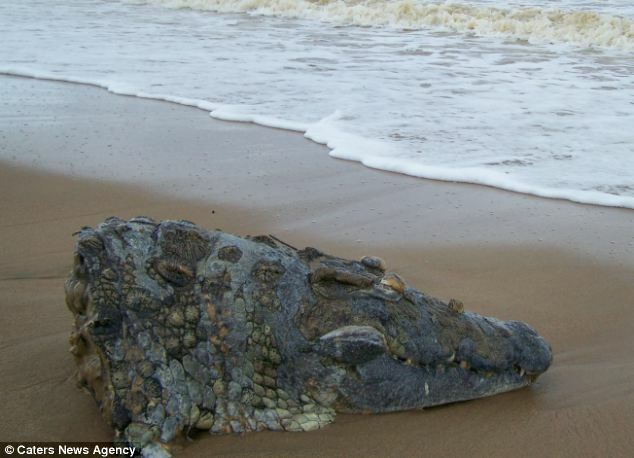 The true nemesis of sharks is dry land, of which we have plenty in Australia. But obviously being so dry we like to crowd down to the coast and chance our hands at being shark food. There are many strategies you can employ on sharks, swimming between the flags being the most popular, as everyone knows flags terrify sharks. Another strategy is having American friends, because sharks love the deep fried marinade of their flesh. In a pinch, there are also plenty of Aussies who could be mistaken for Americans, so just swim with one of them. These aren’t particularly common in Australia. Instead we have the Dingo. These are actually pretty safe to be around as long as you are over the age of two. 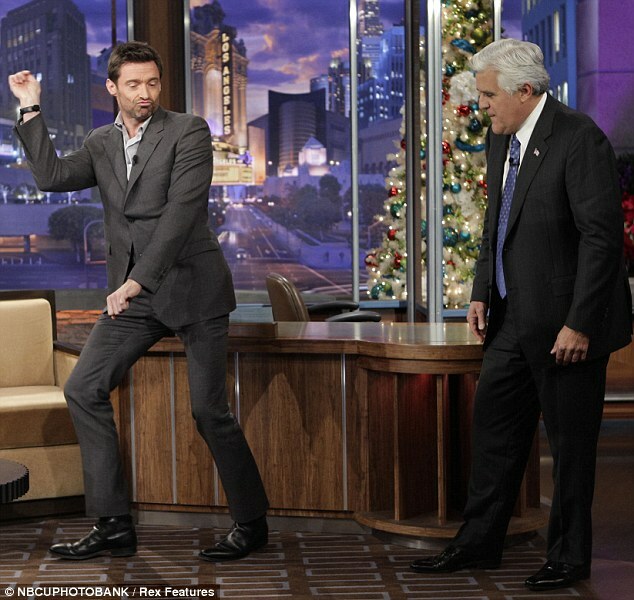 Unless we’re talking about Hugh Jackman, in which case just play a samba beat. 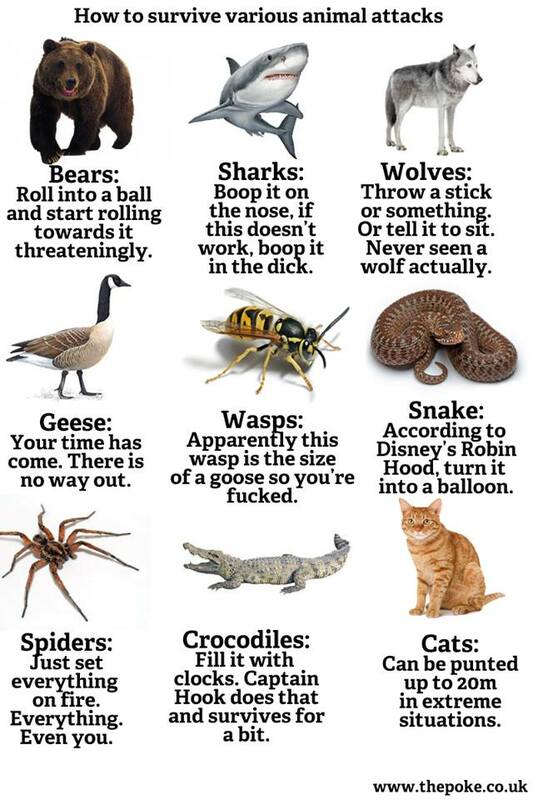 The only reason people have geese is because they are the only thing terrifying enough to take on wasps. So if you have a bank vault or run a KFC you should be able to avoid wasps. If you don’t then buy a shotgun and practice. Unlike many other countries who measure snakebites in terms of whether you need to visit a hospital, Australia measures snakebites in terms of minutes until death. The main piece of advice for people thinking of visiting Australia is to not get bitten. Actually, that’s good advice for every Australian animal, since they are all poisonous, or big enough not to need poison. Actually, it’s also good advice for plants, since those are poisonous too. Most Australians prefer to run over snakes with their car, then drop a boulder on them. The humble spider is a much misunderstood animal. Yes, they are deadly, but in a country like Australia that is par for the course. The fact is that spiders are actually quite cuddly, once you get past the poisonous pincers. They are also easy to train, much easier to train than combat troops. As a result Australia doesn’t have a tank division of the army, but instead has a spider division. Think twice before invading. Which animal is that, I hear you ask. Which is odd given this is a written article. The answer is the Australian Budgerigar. Don’t let its small size and cuteness fool you, they form large deadly flocks of ravenous skyborne killers. Let’s be clear: cat’s are m@#$er-f@#$ing dangerous. They are sneaky, silent, killing machines with the world renowned ability for invulnerability and regeneration. How can you possibly take on this harbinger of death that will survive dying repeatedly? Attack it ten times. This is just a taste of Aussie animal survival techniques. There are obviously many more deadly animals (read: all of them) with advice varying from the examples above to emigrating to a safe country, preferably one that allows the importation of Vegemite. *A final letter is an Australian government required document that all Australians must carry upon their person at all times. In the event of likely untimely death it acts as the final thoughts and wishes for the deceased, usually just short goodbyes to loved ones and reminders to take the bins out. Previous Previous post: Beware the meme!